Gateway Theatre is managed and operated by the Richmond Gateway Theatre Society, a registered charity and not-for-profit organization (Charity# 11911 8875 RR0001) incorporated in 1982. Gateway Theatre is generously supported by the City of Richmond, who own and maintain the facility—comprising a 522-seat MainStage, a 89-seat Studio, a rehearsal room, and administration and production space. To enrich the quality of life in Richmond and surrounding communities by creating outstanding professional theatre and a dynamic hub for the performing arts. 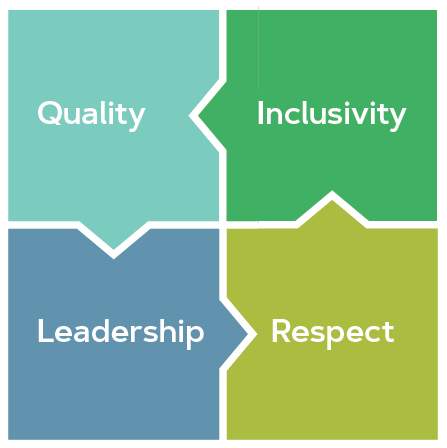 Our values guide how our mission is realized at Gateway Theatre. Gateway Theatre’s mission is implemented through programs delivered to the region. GATEWAY THEATRE PRODUCTIONS The Signature Series (four MainStage and two Studio shows) offers award-winning plays that are authentic, relevant and transformative, bringing stories from across Canada and around the world to Lower Mainland audiences. In recent years, the Series has included co-productions with companies such as Persephone Theatre, Western Canada Theatre, Thousand Islands Playhouse, and Chemainus Theatre Festival. THE PACIFIC FESTIVAL The Pacific Festival was launched in 2014 to reflect the rich diversity of our community and act as a hub for artistic exchange with the Pacific Rim. The program presents high-quality contemporary theatre in Cantonese and Mandarin with English and Chinese surtitles. COMMUNITY RENTAL EVENTS Many community and visiting producers also use Gateway Theatre for performances and events. These rental activities are supported and mentored, where needed, by the professional staff. The 522-seat MainStage and 89-seat Studio B are available as performance spaces. Studio A and our beautiful lobbies are available for meetings and receptions. Find out more about renting our facilities or discover community performances and events at Gateway. 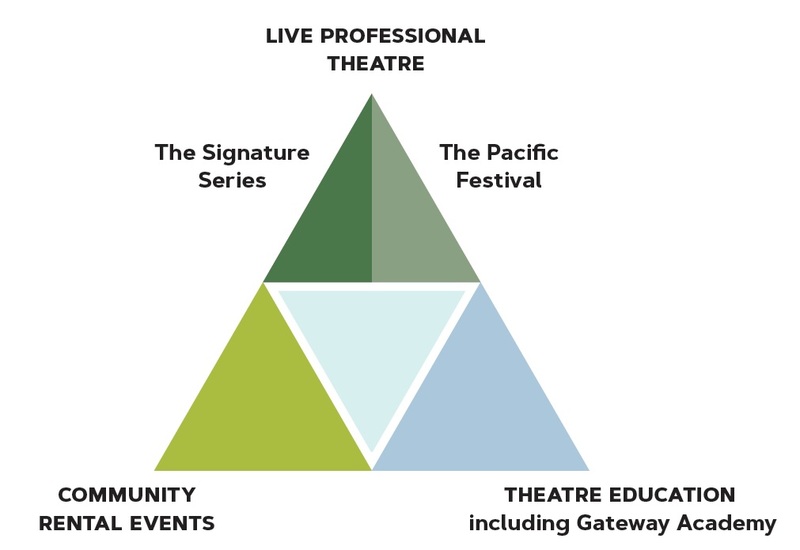 Gateway Theatre is a member of the Professional Association of Canadian Theatres (PACT), the Alliance for Arts and Culture, and the Greater Vancouver Professional Theatre Alliance. Gateway Theatre engages under the terms of the Canadian Theatre Agreement, professional actors who are members of Canadian Actors’ Equity Association. Stage crew are members of Local 118 of the International Alliance of Theatrical Stage Employees (I.A.T.S.E.). Musicians are members of the American Federation of Musicians Association (AFMA) Local 145.